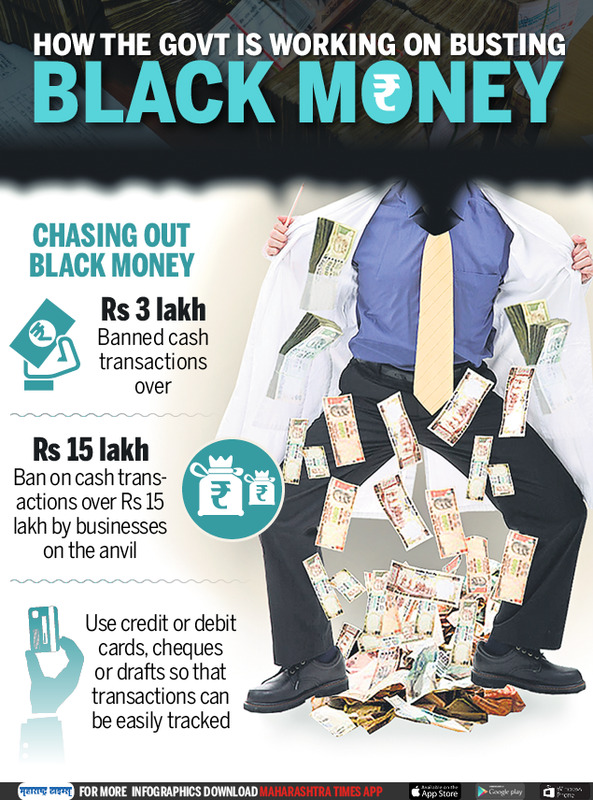 The government is set to ban cash transactions over Rs 3 lakh as it seeks to clamp down on black money in the economy following recommendations from the Supreme Court-appointed Special Investigation Team. The government, however, is yet to decide on the SIT's other proposal to bar cash holdings over Rs 15 lakh due to opposition from trade and industry, sources told TOI. "There are concerns that this will result in harassment by tax officials," an officer said. The Rs 3 lakh-limit is aimed to ensure that transactions are made using credit or debit cards, cheques or drafts which can be easily tracked. Despite the crackdown on unaccounted money, authorities continue to unearth several transactions involving purchase of jewellery or even cars in all-cash deals. The finance ministry is also trying to promote use of plastic money and recently did away with transaction charges+ for government services. In the past, businesses have cited payments to workers, especially smaller players, to justify large cash holdings. But the argument is seen to have become weak in the wake of a spurt in number of bank accounts, especially after Jan Dhan was launched two years ago. The government has already initiated several steps, including banning cash advance of more than Rs 20,000 for property transactions. The move came after income tax raids revealed unaccounted cash was often attributed to "recently concluded property transactions". A similar limit has been placed on repayment of bank loans. The SIT had suggested the twin moves citing examples of countries such as France and Italy, that allow transactions up to a certain limit. The panel argued that cash transactions of over Rs 20,000 were rampant and often tax was not being deducted at source as prescribed under the law. "Question of levying penalty will arise only when such transaction comes to knowledge of I-T department because it is difficult to find out or locate the same," the SIT said in its report.